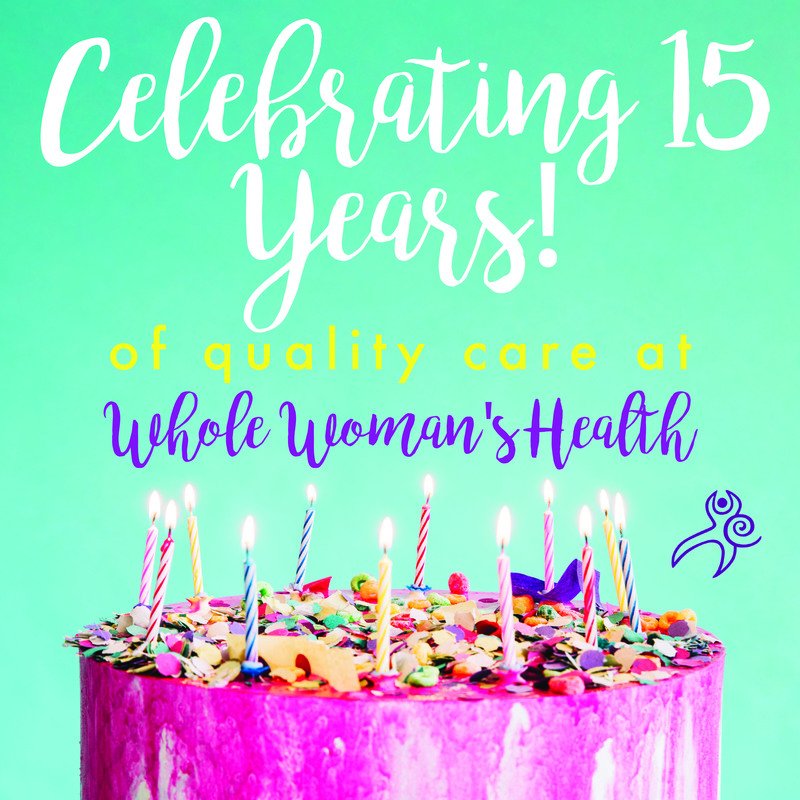 Celebrating 15 years of Whole Woman’s Health! February 3rd marks 15 years since we’ve been helping women, and our very first patients were in Austin, Texas, where our story began. During these 15 years, we’ve opened clinics to provide quality care in the communities that needed us most – the communities where abortion access is limited. Our goal has always been, and will remain to be, to raise the standard of care where women need it the most. Our care revolves around each patient, offering customized, quality care from the time a patient calls us for an appointment to the time they leave one of our clinics. We cater to the needs of each patient, from faith and spirituality to financial and emotional support. But our patient-centered care model isn’t just about the experience inside the clinic. With the help of Whole Woman’s Health Alliance, we also work to change the culture and conversation around abortion, with an end-goal of eliminating the stigma that surrounds such a common, necessary procedure. Even 45 years after abortion was legalized, it remains to be a lightning rod issue in our country. While a vast majority of Americans believe abortion should be legal, many politicians are still trying to close clinics. Since 2003, we’ve testified and served as the plaintiff in at least five different cases taking on laws that aim to strip abortion access to those who need it. After our Supreme Court victory, the Whole Woman’s Health decision has been used to reverse similar anti-abortion laws in more than 8 states, restoring women’s health and access to quality care. After 15 years of helping women, we’re proud of the work we’ve done and the care we’ve been able to offer across the country. We owe a giant thank you to our doctors, nurses, staff, allies and supporters who’ve helped us make our accomplishments possible. There’s still much change to be made, but we’re willing and ready to pave the way to greater abortion access in the days and years ahead. No matter the obstacle, our patients and their families remind us of why we’re here, and we’ll continue to be here to help those who deserve quality abortion care. If you’d like to help cover the cost of an abortion for one of our patients, please consider making a donation to the Stigma Relief Fund today. 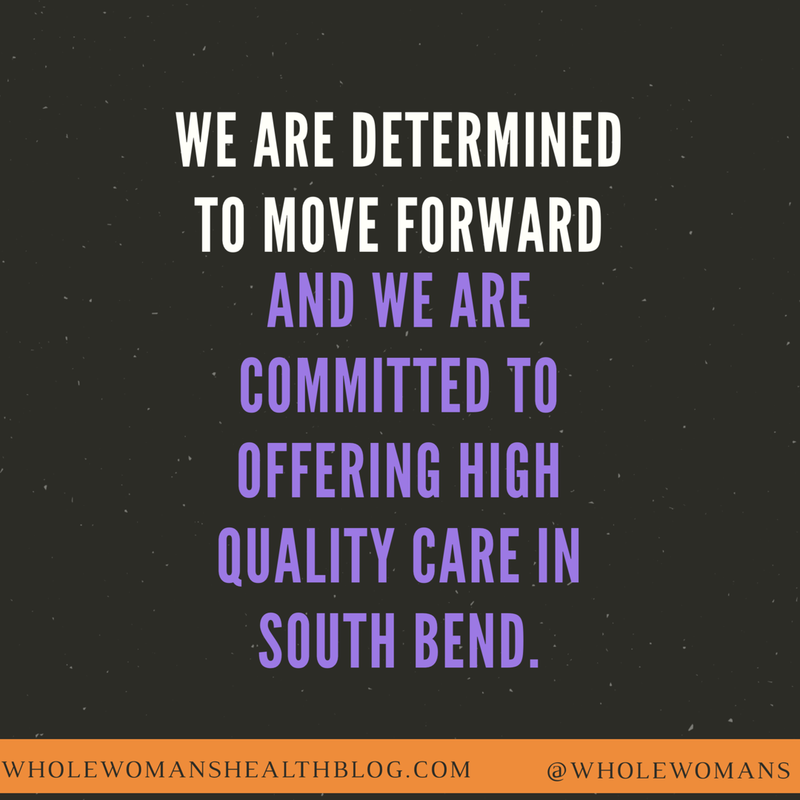 January 10, 2018 – (PRESS RELEASE) Despite five months of accurately responding to every request for information from the Indiana State Department of Health (ISDH), last week Whole Woman’s Health Alliance (WWHA) was denied its request for a license to open a clinic providing quality abortion care to women in the South Bend community. The ISDH denial did not have substantive merit and it seems the Department is confused about the facts. Amy Hagstrom Miller, president and CEO of Whole Woman’s Health Alliance, a non-profit organization, announced in October 2017 her latest endeavor to open a new women’s health clinic that will provide quality abortion care in South Bend, Indiana. According to ISDH, Whole Woman’s Health Alliance has until January 23, 2018 to file an administrative appeal with the Department. We are so thankful we could help. Blessing the hands of our Fort Worth clinic staff. We couldn’t have helped so many women without our donors! One of our Austin waiting rooms. Launching Whole Woman’s Health Alliance! Offering No-Cost Abortions to Hurricane Harvey victims. Liz Winstead takes the stage for the “Don’t Mess With Access” Comedy Show! Amy Hagstrom Miller after testifying against Neil Gorsuch’s nomination. Local Clergy members blessed our Fort Worth Clinic. After the “Don’t Mess With Access” Comedy Show in Fort Worth. Fort Worth beautification: This is how we garden! A small portion of our mural in Fort Worth! This year was a busy one for our staff and supporters! Looking back, it’s difficult to believe how much happened, but we’re excited to head into 2018 with enthusiasm and purpose. Here’s a recap of what we accomplished in 2017. Whole Woman’s Health was founded in February 2003, in Austin, Texas. We are looking forward to celebrating 15 years in 2018! In July 2014, Whole Woman’s Health of Austin was forced to close due to Texas’ Omnibus Abortion Bill (HB2). Nearly ten months after the historic Supreme Court victory in Whole Woman’s Health v. Hellerstedt decision in June, Whole Woman’s Health Alliance of Austin opened its doors on April 28th. We continue to offer quality care at our original North Austin location on I-35. On Thursday, March 23, Amy Hagstrom Miller, CEO and Founder of Whole Woman’s Health and Lead Plaintiff in the historic Whole Woman’s Health v Hellerstedt Supreme Court case, testified before a Senate committee on why we must stop Judge Gorsuch. (You can read her full testimony here). In May, our staff members joined forces with those on “The Vagical Mystery Tour” – Co-Creator of “The Daily Show” Lizz Winstead (who is also the Founder and Chief Creative Officer of Lady Parts Justice League), Comedian and Actor Ian Harvie, and Comedienne Joyelle Johnson – for the “Don’t Mess With Access” comedy show, which benefitted Whole Woman’s Health and our advocacy organization, Shift. The following day, Lady Parts Justice League volunteers, including Winstead, Harvie and Johnson, visited our Whole Woman’s Health Ft. Worth clinic location to plant shrubs outside and around the building. They also coordinated lunch for the entire clinic staff, that was provided by Deep Cuts Butcher Shop in Dallas. Challenged Texas’ Senate Bill 8… and won! In June, Governor Abbott signed Senate Bill 8, an ominous anti-abortion bill that would further restrict abortion access for Texans. In July, we joined other abortion providers in challenging SB8, particularly the portion of the bill that would criminalize the D&E procedure. In November, we took Texas to court (again). After presenting our case, witnesses, and evidence, Judge Yeakel ruled in our favor. In August, we relaunched our Whole Woman’s Health website that features a new look, branding, and better mobile capability. As we expand our presence into new communities, our web presence has become more and more important in our work. At the end of August, Texas was hit by Hurricane Harvey, leaving many without homes. Many of the abortion clinics were forced to close during and after the storm, despite their best efforts to help their patients. We know the need for abortion care doesn’t stop during a natural disaster, so we offered no-cost abortions to those patients affected by the hurricane. With the help of Lilith Fund, our own Stigma Relief Fund, and other statewide funds and practical support networks like Fund Texas Choice, we were able to complete 85 abortions and 12 consultations at no costs to the patient during the month of September. We used $50,905 to cover costs, and raised approximately $25,000. Our Stigma Relief Fund works year-round to help cover abortion costs for our patients in need; donate to Stigma Relief Fund today. In October, we excitedly opened the doors to our 8th and 9th locations in Charlottesville, Virginia and South Bend, IN. Both communities are classified as extremely hostile to abortion rights. In fact, 78% of Virginia women live in a county with no abortion clinic. Our clinic in Charlottesville continues our mission to offer quality care where it is needed the most. In October, we launched our non-profit, Whole Woman’s Health Alliance (WWHA). WWHA is part of a nationwide initiative to combat abortion stigma. Our Austin, Charlottesville, and South Bend clinics operate under WWHA. End abortion stigma and donate to Whole Woman’s Health Alliance (link) today. In November, we hosted clergy members and activists into our Fort Worth clinic for a blessing. We sang, prayed, and members of our staff had their hands blessed for the work they do to touch women’s lives. It was a beautiful afternoon. If you’ve been to our clinic in McAllen, Texas, you know our building features an empowering mural painted on the side. We wanted to bring that same feeling and community connectivity to our clinic in Fort Worth. Artist Angelina Villalobos designed and painted a vibrant, empowering mural along the fence for all of our staff and patients to enjoy. It’s gorgeous! 2017 brought change behind-the-scenes at Whole Woman’s Health as well. As we continue to expand into new states and communities, the need for a bigger staff made itself clear, and we welcomed many new faces to our teams in our clinics, headquarters, and our EmpowerLine. It’s refreshing to work with so many people who share our passion to provide quality abortion care. We are looking forward to continuing our work in 2018! At Whole Woman’s Health, we know that confidentiality and time constraints are often concerns for many women when thinking about abortion. We respect that certain people need an even more private abortion, or wish to pay an additional fee for expedited care. VIP abortion care at Whole Woman’s Health means having an abortion at our clinic in a completely individualized, confidential setting—the staff and physician are in the office that day exclusively to care for you, and no other patients will be in the office when you are there. Your scheduled time with us is typically much shorter and completely focused on you. VIP abortion care also includes a post-abortion care basket. You will be served a light meal in the aftercare room before you leave. You can also expect a personal follow up call several days later from the nurse. If privacy is your major concern, a private abortion allows you and your support person to be escorted directly into your own room, where you can stay throughout your visit. The staff and physician will come to your private room, and you will have your entire visit – from paperwork to counseling to the abortion itself – in a room of your own. 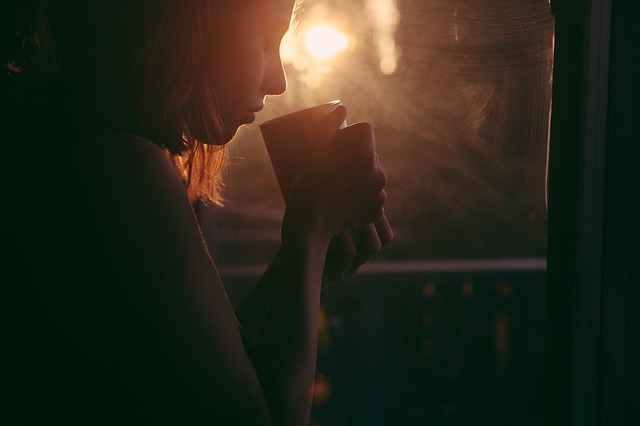 Private abortion care also includes healing herbal tea in your own Whole Woman’s Health mug and a personal follow up call several days later from the nurse. Some patients do not need the privacy afforded by a private abortion option, but due to schedule constraints, their time in the office must be expedited. We are able to accommodate these patients as well, by ensuring they are the first patient seen at each step of the process, including the abortion procedure. Please note that these specialty visits are somewhat more expensive due to the extra staff time involved, and this extra cost is not covered by insurance companies. Feel free to contact us if you’d like to find out more or make arrangements. For some women in very public positions, or in relationships where danger can be a variable, confidentiality can be related to their very job security of safety. Of course we understand confidentiality isn’t about shame or stigma; rather, for some it’s an issue that presents more barriers than time or finances. We get this and are here to help. For more information or to find a clinic near you, please visit our website or call our EmpowerLine at 877.835.1090. From my own practice of medicine and from peer-reviewed studies, we know that women of color, low-income women, and young women face the barriers to accessing abortion care with greater severity than others. Unfortunately, these groups of people also face other barriers in life such as poverty, poor access to prenatal care, and lower rates of health literacy. When placed in combination with restrictive abortion laws, the burdens carried by these groups of people can oppress them for generations. The Texas legislature in 2017 passed Senate Bill 8 (SB8), a set of anti-abortion laws that would make it more unnecessarily difficult to access and provide abortion care. One of these provisions is central to an ongoing legal battle that was decided by a Federal court last week. This is a law that would require physicians to begin experimenting with patients in order to meet the requirements of the law. The law would allow legislators to dictate how I practice medicine, potentially putting my patients in harm’s way. Unfortunately, this is not the first time ideologically based laws have found their way into my provision of medical care. For decades, politicians have tried to chip away at a person’s right to access abortion care. They have been able to accomplish this through required waiting periods up to 72 hours in some places, burdensome reporting requirements for clinics, requiring physicians to read medically inaccurate information to patients before an abortion, and adding barriers to young women seeking abortion care. Ultimately, healthcare decisions should be made with the clinician, the patient, and any person they choose to include, not with politicians. In my opinion, this is the ultimate purpose of any law that specifically targets, intentionally or otherwise, certain groups of people– to continually increase barriers, so that access to safe, quality abortion care is out of reach. With last week’s favorable decision from Judge Yeakel in Texas, I am able to continue providing care to patients based on my years of training and practice medicine based on science and research, not ideology. The court has confirmed that the state had no vested interest in the well-being of the people I take care of and that the proposed law would have only added to the burdens my patients already face in accessing abortion care in Texas. I celebrate this just decision with the patients I take care of every day and with the staff at Whole Woman’s Health clinics across Texas in Fort Worth, Austin, San Antonio, and McAllen. We see the faces that are affected by these laws, we hear their stories, and we often feel their burdens. Today, there will be one less medically unnecessary burden in the way for people exercising their constitutional right to an abortion. But let’s not forget the already inherent challenges that exist that some are faced with that make it nearly impossible to access safe, quality abortion care. Please consider supporting and donating to www.wholewomanshealthalliance.org so that we can ensure that those who visit our clinics can access the care that they deserve. Let’s be clear, this case is about an abortion ban– plain and simple. The state tried to make a case that the restrictions they put forward are no big deal for women and providers to comply with; but, the state misses the point completely. These restrictions have no medical basis nor added health benefit whatsoever. This is yet another attempt to politically interfere with our healthcare decisions and Texans deserve better. Whole Woman’s Health, the Center for Reproductive Rights and Planned Parenthood put a strong case forward based in scientific evidence and medical facts, illustrating how this ban will keep our physicians from being able to provide the best medicine for the Texans they care for. The undue burden for Texans would be significant with no health benefit in return. And this is unacceptable and we are prepared to bring this challenge all the way to the Supreme Court, if necessary, to get the relief Texans deserve. Whole Woman’s Health is serving as plaintiff against the state of Texas as it attempts to restrict abortion access for women. Local lawmakers can’t make abortion illegal, so they are creating bills like SB8 that make a safe, necessary procedure more difficult to obtain. Texas women deserve better. Keep politicians out of women’s health care by donating today to Whole Woman’s Health Alliance. Why I Took Texas Back to Court. In July, we filed our second post HB2 lawsuit, Whole Woman’s Health vs. Paxton, less than one year after our historic Whole Woman’s Health Supreme Court victory. Our landmark case confirmed what we’ve known all along – Texas can’t place restrictions on access to abortion that create an undue burden for the women seeking care. But even after such a powerful SCOTUS victory, in the 2017 Texas legislative session politicians introduced more than 45 bills that attempting to restrict women’s access to necessary abortion care. As we take Texas back to court today, it is vital we all remain committed to resisting the political attacks against women and our healthcare. We must never get comfortable with this hostile landscape. At Whole Woman’s Health, we are committed to providing quality care in communities across the country that need us – particularly those with targeted restrictions on abortion care, like Texas. Not only do we provide health care in our communities, but we are dedicated to changing the culture around abortion, eradicating stigma, and fighting to make sure women have access to quality abortion care. With this lawsuit, we are fighting back against Senate Bill 8, which threatens access to abortion care and poses an undue burden on women seeking an abortion in the second trimester. This bill passed into law as one of many attempts by politicians to control our bodies and restrict our constitutional right to safe abortion care. Take note– these politicians are not doctors, nor do they have medical backgrounds. We are experts in abortion care and as healthcare providers, we know these restrictions undermine our doctors’ ability to provide the individualized care that’s best for our patients. Doctors and medical professionals should be able to use our best medical judgment, instead of having to comply with unnecessary restrictions that are politically motivated and do not have women’s health and safety in mind. This D&E ban is an abortion ban, plain and simple. It is an obvious attempt to eliminate abortion access for Texas women. Lawmakers can’t make abortion illegal, so they are creating bills that make a safe, necessary procedures more difficult to obtain. Access to safe abortion care is a human rights issue; reproductive freedom for women is about equality, self-determination and autonomy. We cannot let our opposition pretend that they have our best interests in mind. Women are the best experts in our own lives. We refuse to let these political attacks whittle away at our healthcare options, or take away our constitutional rights. The women in our communities deserve true equality, and that is our ultimate goal. After all, justice is a constant push back against those who want to keep us down. As Whole Woman’s Health heads to court this week, we stay strong knowing that we continue to stand on the right side of history and we invite you to stand with us.